Lighthouse NUMIS coin album pages sheets with 48 spaces up to 17 mm Ø. FOR THE CLEAR AND DISTINCT ARRANGEMENT OF YOUR COIN COLLECTION! The coins are displayed to their best advantage in the crystal clear sheets with special pockets. They allow you to systematically sort your coin collection and to combine all the pages in a NUMIS-binder. White card boarding interleaving offer attractive and contrasting separation. 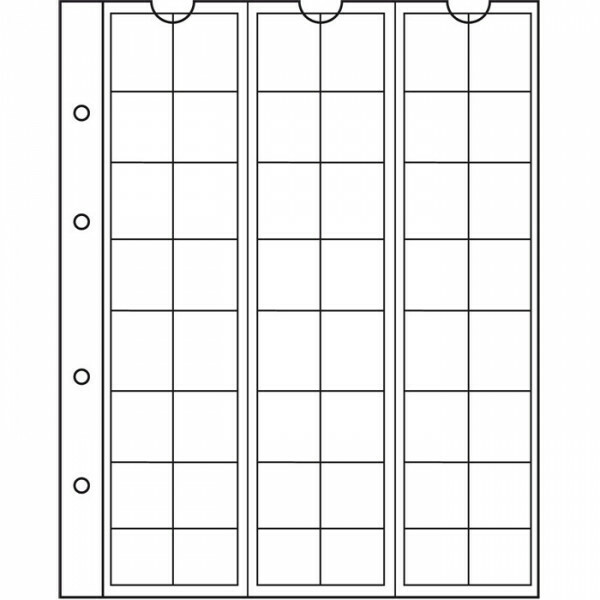 Although designed for the Numis albums these coin pages can be used independently to help store and organize your collection. Coins are held securely in a sliding inner holder. The suitable sheets for NUMIS coin albums are available in different arrangements. Lighthouse sheets are made of resistant, transparent and acid-free special foil.They protect your coins from all environmental influences. 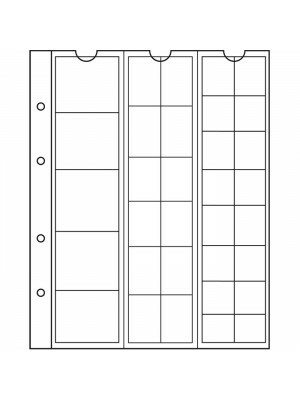 Sheets for coin storage have pull-pockets in various sizes, which ensure the safe storage of coins. 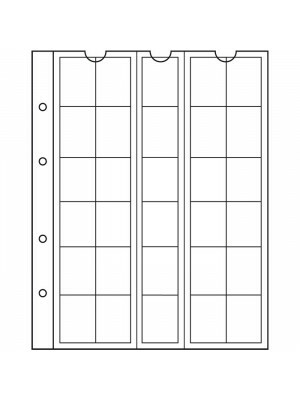 Coins will be protected from moisture and air, and by viewing and organizing the album the coins remains in the pockets. Easily view from both sides. By using the NUMIS sheets, you can in a simple and convenient way structure your coin collection. 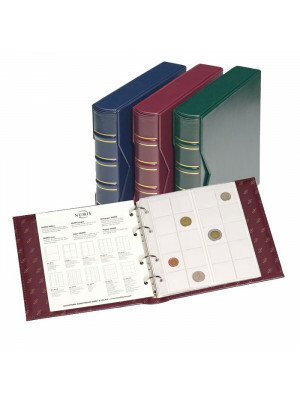 These sheets are made to fit any Numis Coin and Banknote Albums!